The Sabbat Samhain is the Celtic New Year. This is the time when the veil between the worlds is at one of its thinnest points. The Welsh Goddess Cerridwen came forward to lead us on a workshop to connect with the Crone energies. The Crone archetypal energy represented by Cerridwen teaches us about our shadow side and this period from now till Yule (21st December) is her time. Cerridwen is the keeper of the cauldron of knowledge and inspiration in the Underworld. She allows us through working with her to bring up deep buried aspects of ourself that require transformation at this time to allow us to hold the energy of balance with ourselves which is important prior to Yule. Darkness is a balance for the light yet many of us fear the darker aspects of ourselves and Cerridwen offers in this workshop the opportunity to release these fears (often represented by a fear of death) and to integrate ourselves fully allowing the opportunity for use to see who we truly are and love ourselves. 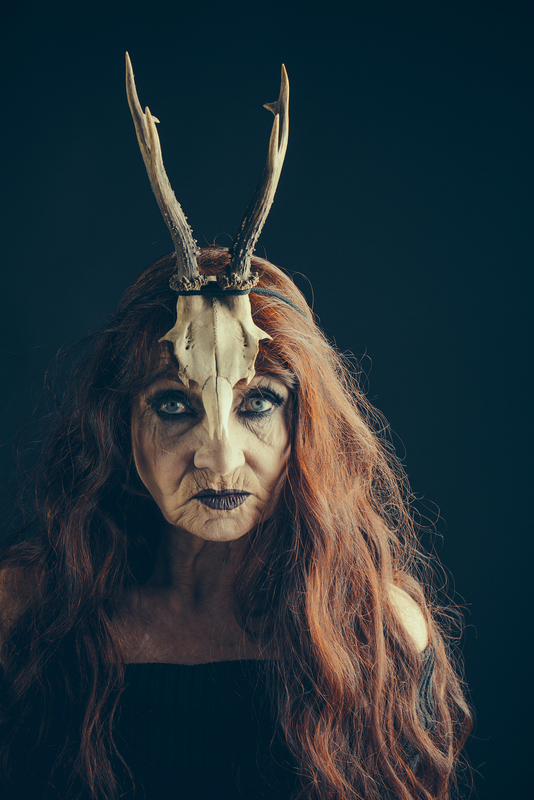 In the workshop Alphedia teaches you about the significance of Samhain, invokes and channels Cerridwen including a self realisation exercise and takes you on a channelled guided meditation with her to help you heal and balance.